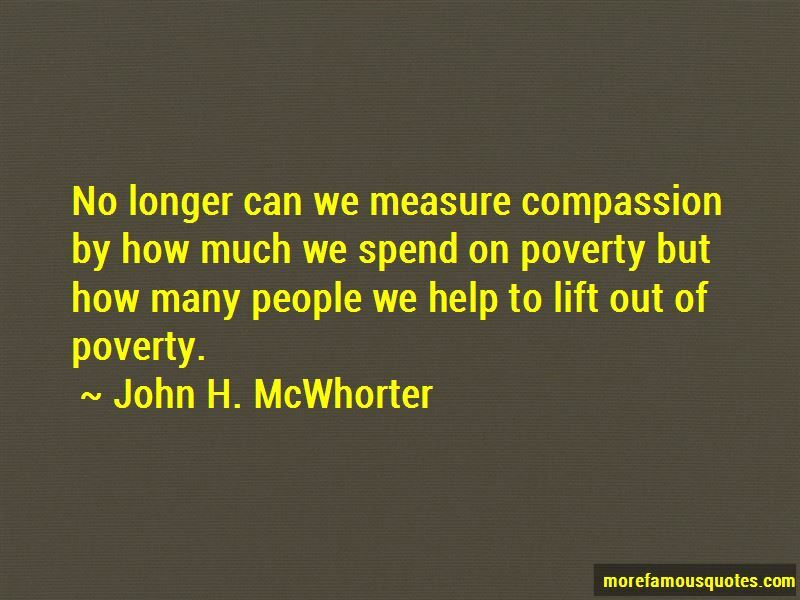 Enjoy the top 3 famous quotes, sayings and quotations by John H. McWhorter. The black conservative is responsible for making people question an idea that racism must be extinct before black people can overcome. Understanding that our goal is to thrive despite racism rather than fetishizing it is, in fact, the central ideological plank of people deemed "black conservatives." This is a coherent position, but that can be hard to perceive, given the way that race has been discussed in our land over the past 40 years or so. 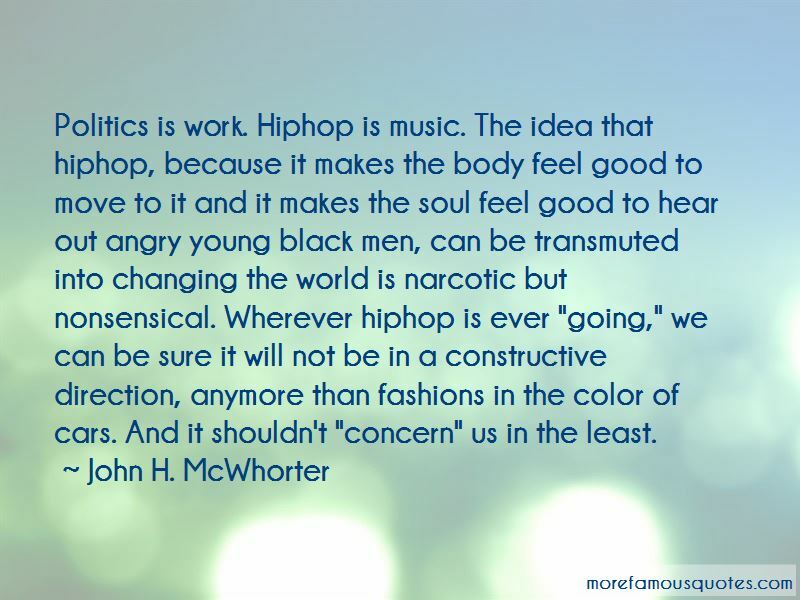 Want to see more pictures of John H. McWhorter quotes? 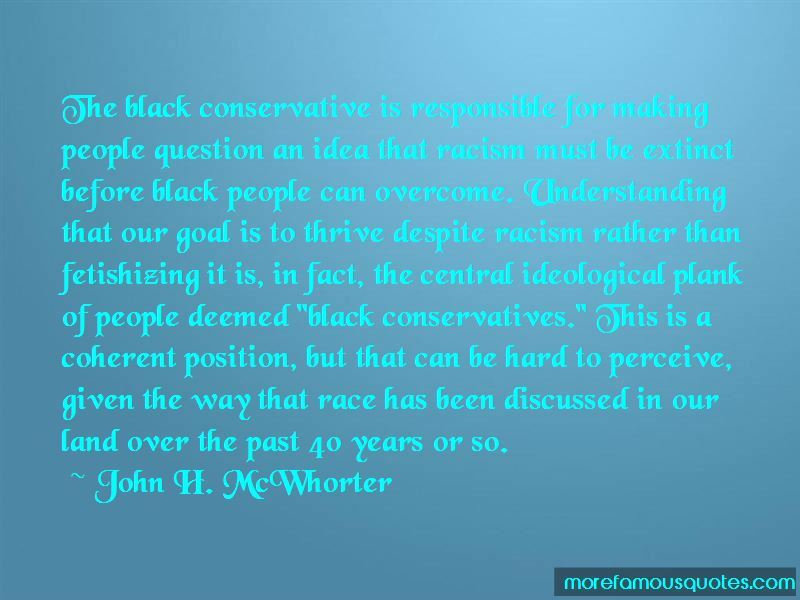 Click on image of John H. McWhorter quotes to view full size.